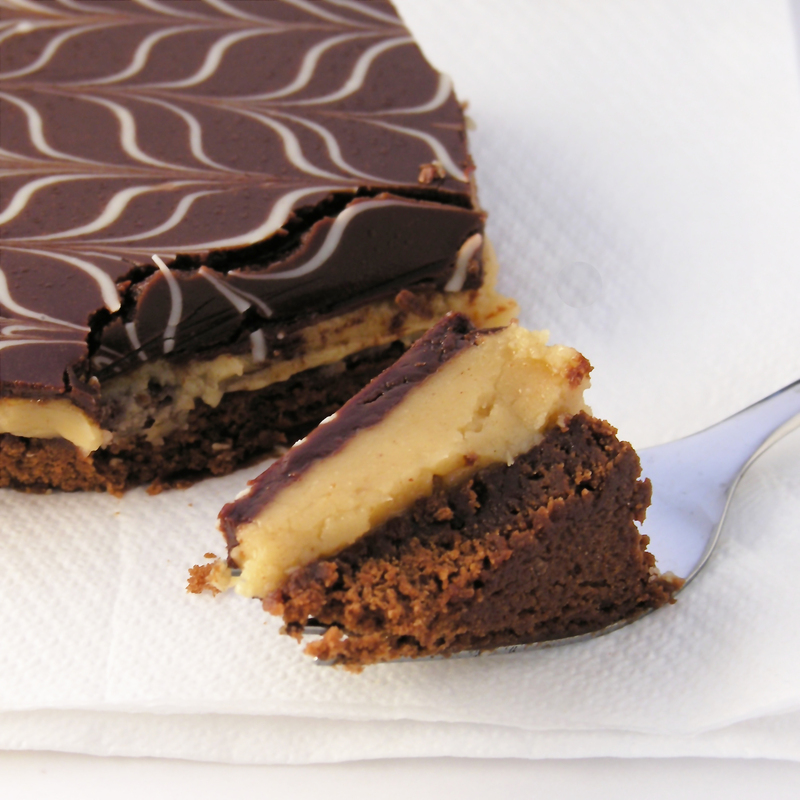 These aren’t your average brownie- they are full of creamy peanut butter filling and topped with a layer of fudge! Unbelievably delicious! But adding peanut butter? Oh my goodness….. a definite show-stopper! Pour batter into a jellyroll pan (12 1/2 x 17 1/2 x 1″) that has been sprayed with non-stick spray. Bake at 350F degrees for 8-10 minutes. Combine softened butter with peanut butter, mixing on low until completely smooth. Add powdered sugar, mixing until combined. Add a little water to make filling a thick, but spreadable consistency. Melt chocolate chips and butter together in the microwave in 30 second increments, stirring in between until completely melted and smooth. 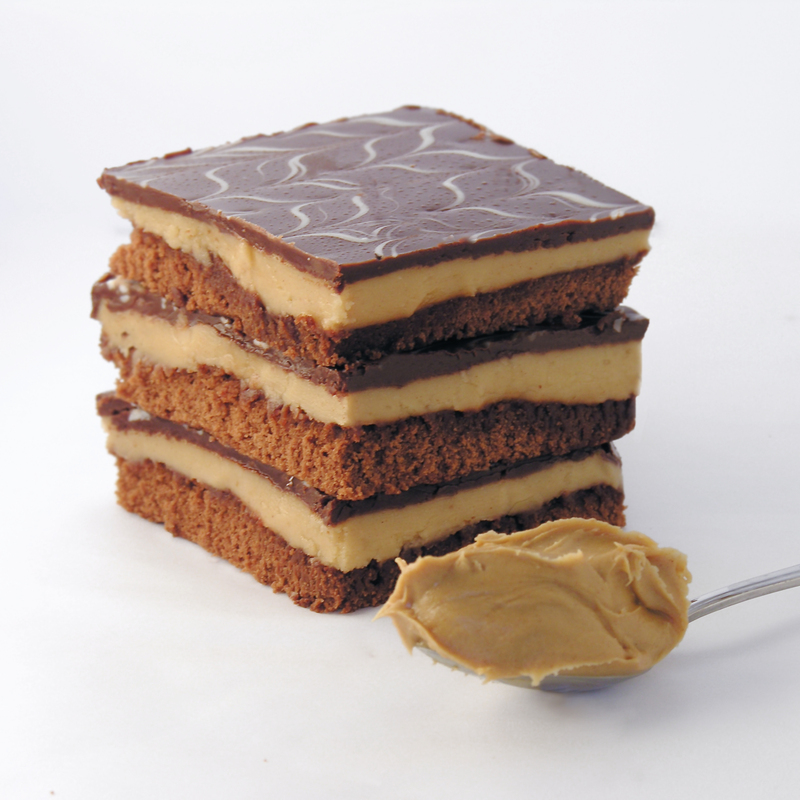 Pour over peanut butter filling and use a spoon to push topping over entire top of brownies. 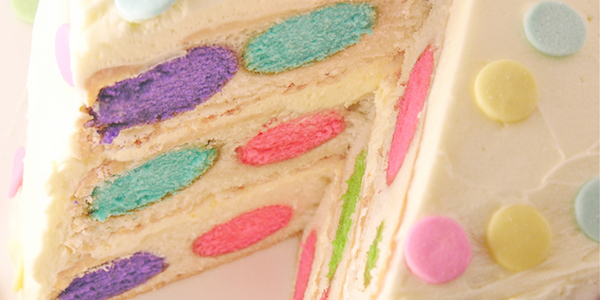 Decorate with sprinkles or by drizzling a little white chocolate on top. Cut brownies when the top layer is firm, but not hard. Your knife should go through it easily without cracking it. If your top has chilled too long, simply let it sit at room temp for a little while until it softens up. Store these in a large air-tight container, in layers separated with parchment paper or wax paper to avoid sticking. Posted in Brownies and tagged baking, best, brownies, chocolate, food, fudge, layered bars, peanut butter, recipe, recipes you can freeze. Bookmark the permalink. I just want you to know I love your posts. I look forward to these and have printed off several of your recipes. My son is a BIG peanut butter lover and I will definitely try making these for him. Keep up the wonderful baking, pictures and posts. Sounds so delicious…can’t wait to try it out! 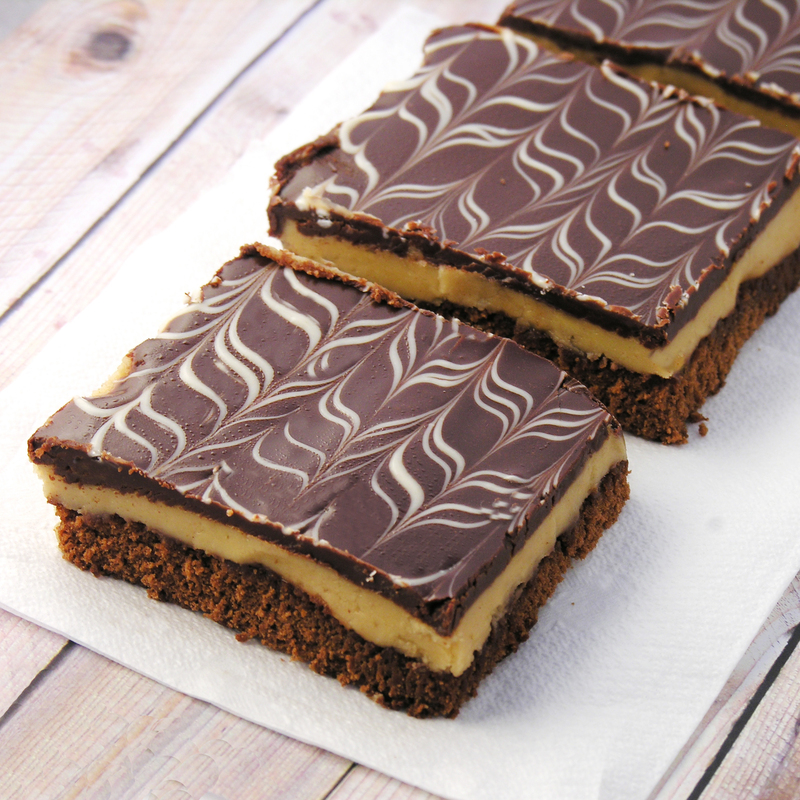 These look so delicious, and the chocolate-peanut butter combo is the best! Thank you- and I agree!! Best combo ever! Yep, definitely making these. They can be my “I’ve lost 5 kilos” celebration. Whenever that will be. Wow! I can’t wait to try this recipe. I love the decoration. beautiful.